Just sit back and do business as The Legend Villas’ event coordinators and highly trained F&B staff do the rest for you. Each of our venues, good for 25 to 200 guests, comes with high-quality audio-visual equipment plus a menu of delectable snacks and meals. 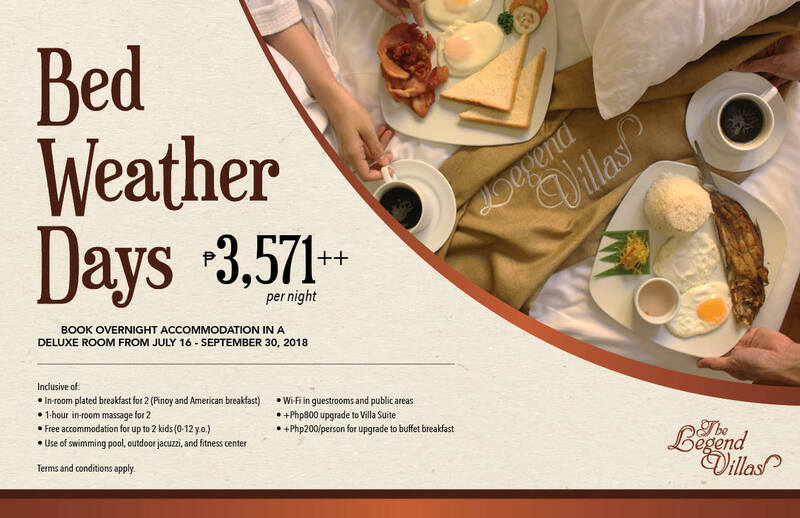 We present you with world-class comfort that you rightfully deserve. The warm-toned, vintage furnishings of our rooms and suites create a soothing atmosphere that encourages total relaxation. Read more to view all the available room types at our hotel. Let us throw you a party for the books. Whether it be a wedding, debut, anniversary, birthday, or any milestone occasion, celebrate it at our Mandaluyong hotel and we promise to make it extra special. Request for free quotation today by clicking the link below. 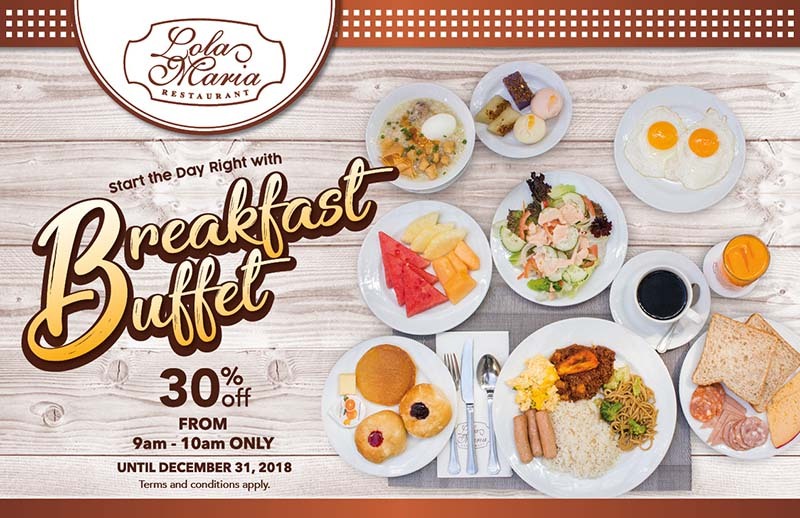 A place where guests can talk business yet find pleasure in great food and good company, Lola Maria Restaurant serves some of the most delicious home-style Filipino dishes in the metro. 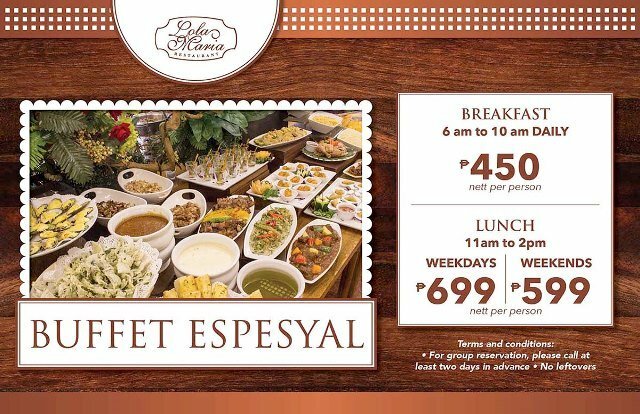 To view our a la carte and eat-all-you-can schedule, click the following link. The Legend Villas has facilities and services that can make life easier for all our guests. Among these are Free Wi-Fi, a swimming pool with jacuzzi, and 24/7 front desk service. Whether it be for recreation or business, we promise to make your stay as hassle-free as possible. 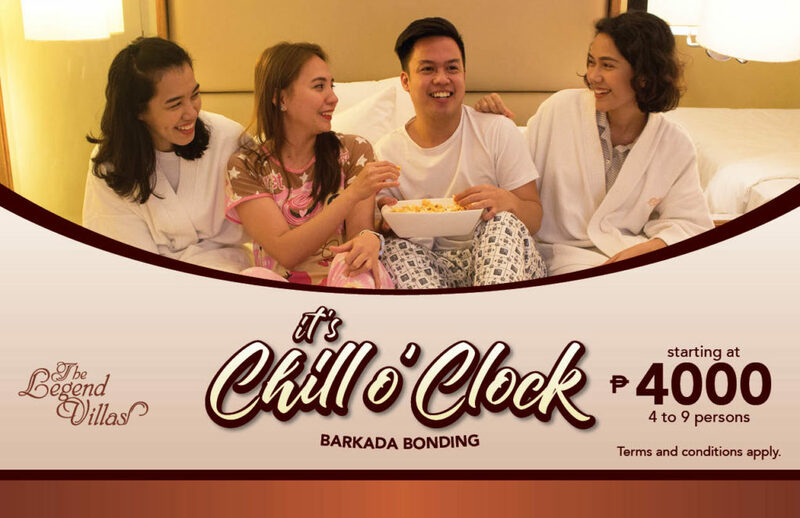 Our accommodation stands at the intersection of Pioneer and Madison Streets in Mandaluyong City, Metro Manila, Philippines, close to shopping malls, hospitals, transport hubs, and major thoroughfares. We are just 45 minutes from the airport. The Legend Villas in Mandaluyong City is a 100% Filipino owned hotel with amenities and services well beyond its Old-World charm. It’s luxury you cannot afford to miss but can easily afford to enjoy. Set in the midst of a bustling metropolis, here is where you can relax, unwind, be yourself, and feel at home. Elegant yet cozy touches abound inside and out: fine wood with finish so smooth to the touch, sparkling Venetian glass-framed mirrors, polished barandillas in a gently curved staircase, a cozy gallinera in a quiet corner. There is no lack of functional features and comforting amenities in its 130 rooms to ensure the convenience of its guests. And for all its efficiency, there is an underlying coziness in the design and furnishings of each room. More than just a hotel, The Legend Villas is in itself an experience so familiar, so comfortable, and so heartwarming. So much like home.